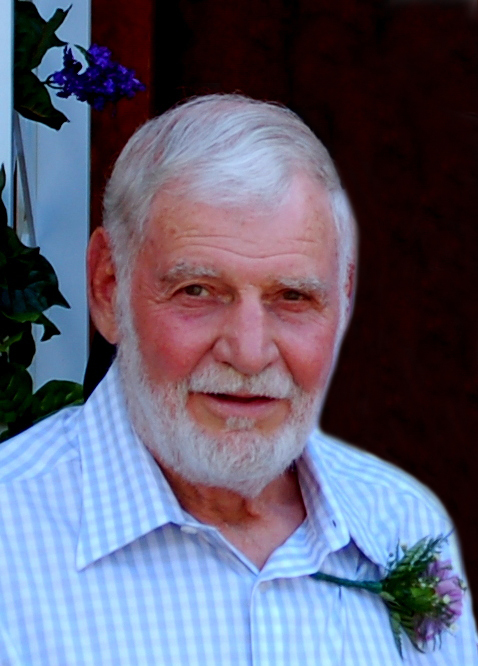 William C. VadeBonCoeur, 79, of Kankakee, passed away Sunday, Oct. 27, 2013, after an extended illness. Visitation will be from 4 p.m. to 8 p.m. Wednesday at the Clancy-Gernon-Hertz Funeral Home, west Kankakee, where funeral services will be held at 10 a.m. Thursday. The Rev. Scott Henley will officiate. Burial will be in Kankakee Memorial Gardens, Aroma Township. Memorials may be made to Hospice of Kankakee Valley or to the Naperville Humane Society. William was born Nov. 1, 1933, in Kankakee, the son of Glenwood and Elva (Conner) VadeBonCoeur. After high school, he enlisted and served in the U.S. Air Force during the Korean War. He married the former Eileen Hebert of Joliet in 1958. William worked in construction and later served as president of Laborer’s Local 751 of Kankakee. He completed his career as the business manager of Laborer’s Local 751 of Kankakee. William was a proud member of Kankakee American Legion Post 85, and an avid hunter and outdoorsman. He is survived by one son, Glenn (Donna) VadeBonCoeur, of Winfield. William was preceded in death by his youngest son, Curt; and his wife, Eileen. Memorials may be made to Hospice of Kankakee Valley - www.hkvcares.org or Naperville Humane Society - www.napervillehumanesociety.org. It is with great sadness that we announce the passing of Thomas Patrick Dowling, a founding member of the ISEE. Mr. Dowling was born on September 27, 1927, in Ocean View, Va., the son of Patrick E. and Marion A. (Kelly) Dowling. He graduated from St. Joseph’s Parochial Grade School, Toms River, N.J.: Lakewood High School, Lakewood, N.J.; and received a Bachelor of Science Degree in Civil Engineering from the Indiana Institute of Technology.· He also was awarded a Doctorate of Civil Engineering from that university. He graduated from the Engineer Officer Candidate School, Fort Belvoir, Va., and served as an Engineering Officer in the U.S. Army Corps of Engineers. He held technical positions with Trojan Powder Company, CSC Corporation, International Minerals and Chemicals, Angus Chemical Corporation, Appalachian Explosives Company and was employed as manager, technical services, with the Institute of Makers of Explosives (IME). He was a consultant on blasting and explosives issues. Mr. Dowling was a registered professional engineer in Pennsylvania and Virginia and was a licensed blaster in Pennsylvania for more than 50 years. 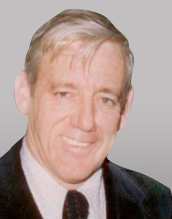 He was a member of the National Society of Professional Engineers, the Pennsylvania Society of Professional Engineers, the American Society of Civil Engineers, The Society of Mining Engineers, a 50 year member of the Society of American Military Engineers and a founding member of the International Society of Explosives Engineers. He served on the IME Technical Committee for more than 30 years and on a number of Committees of the National Fire Protection Association (NFPA). He chaired the NFPA 495 AND 498 committees. He held a number of patents for explosives and blasting products and authored and served as contributing editor for technical articles on explosives and blasting procedures. Mr. Dowling was a life-long Roman Catholic and was a member of St. James Roman Catholic Church of Charles Town, W. Va. He is survived by his wife of 57 years, Granis E. (Pyles) Dowling and a number of nieces and nephews. Friends from the church will be hosting a brief reception following the service. Tom's ashes will be buried in a family plot in Romney, W. Va., at a future date. Granis thanks everyone for their thoughts and prayers and understands it may be difficult for many to attend. Tom Onstott, passed away on July 6, 2013, after an extended illness, surrounded by h is family and friends. Tom was an author of 10 novels, including three that were published. He was an avid outdoor enthusiast and enjoyed hunting, fishing and working on the small family farm. Tom was born in Beulah, N.D., but was raised in a small mining town north of the Yellowstone Park border. He worked in and around the mining and construction industries, highlighted by various company upper management positions. 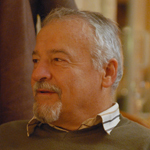 It is with great sadness that the ISEE announces the passing of Dr. Hans-Peter Rossmanith. Dr. hans_peter_rossmanithRossmanith passed away June 26, 2013. He was one of the cornerstones of the fragblast community. Born in 1947, Hans-Peter Rossmanith earned his doctorate in mathematics and physics from the University of Vienna. After successfully completing his studies, he became an assistant professor at the Vienna University of Technology. He spent time performing research at the University of Maryland, in the United States, and later followed the call back to the TU Vienna. Dr. Rossmanith conducted extensive research in the field of fracture mechanics, studying the breakage of materials and developing damage models for solids and structures. A major contributor to fragblast history, Dr. Rossmanith presented his research at the International Symposiums on Rock Fragmentation by Blasting; was the editor in chief for the Blasting and Fragmentation Journal, which is published by the International Society of Explosives Engineers; and was a member of the Fragblast International Organizing Committee (FIOC). Dr. Rossmanith published numerous articles in scientific journals and regularly lectured at conferences. He also organized many successful meetings and conferences, bringing together researchers from around the globe. Dr. Rossmanith was very interested in the history of mechanics, especially the historical development of fracture mechanics. His unique insights helped bring to life his lectures. Dr. Rossmanith was fond of cooking and was an avid gardener, painter and composer. Our condolences go out to his family. Dr. Rossmanith will be sorely missed. 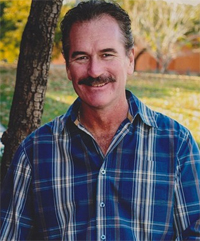 Paul Joseph Webb, 51, passed away on July 25, 2013, in Surprise, Ariz. Paul was born on March 27, 1962, in Belle Fourche, S.D., to the late James E. Webb. He was working for Nomac Drilling, Oklahoma City, Okla., outside Douglas, Wyo. He will be forever loved and missed by his family. He is survived by his beloved wife, Clorie A. Webb; son Zachary C. and daughter in-law Sara Webb; daughter Erika A. Webb; grandson Canyon L. Webb; mother Virginia E. Webb; sisters Vonda Webb and Mindy Ireland and brother Jimbo Webb; in-laws Raymond and Carmen Chavez. The visitation will be from 5-8 p.m. Thursday, Aug. 1, 2013, at Surprise Funeral Care, 16063 W. Bell Rd., Surprise, AZ with the Memorial Service at 7 p.m. Friday, Aug. 2, 2013, at Radiant Church, 15522 W. Paradise Lane, Surprise, Ariz. Please visit Paul's online registry to leave a tribute for his family at www.surprisefuneralcare.com.